GREETINGS from Cofradía, Mexico! We are in an exciting time right now in this ministry. God has been touching so many lives. Every week we are seeing new local people visit. This last Sunday there was a comment from a visitor, “what are you guys going to do once this place fills up, because it’s going to fill up!” This is a good problem as we set out 160 chairs each Sunday. Our family is doing well, everyone is healthy and Mackenzie is growing fast. She is a very good and happy baby. Future Ministry Opportunities I have posted a little history and our purpose on our blog as well as some of the ways groups and individuals can get involved. Pastor Heriberto Rodriguez was born and raised in Cofradia and now is an ordained minister living in Florida with his wife. They work together preaching at the jails and visiting and praying for people in their homes. Click here to read about his recent visit to Cofradía. La Fuente Heroes Tour came to Cofradía and many of our children were ministered to. Doug and Jan Taylor Conference Once again, former staff members will be returning to hold a weekend conference speaking to our leaders, congregation, and married couples. Pray for accurate interpreting and open hearts to the Word of God. People are always blessed when the Taylors come (Feb. 8-10). Date Night We’ll be hosting a Date Night on February 10 with the Taylors as guest speakers. All married couples are invited. Many people have expressed interest, even the visitors and other people from town. Please pray for open hearts to God’s Word and that not only many marriages will begin a process of transformation, but individuals a well (February 10). First Cofradia Youth Wedding I have the privilege of marrying the first young couple in the church where both are from Cofradía and have not yet begun to live together. 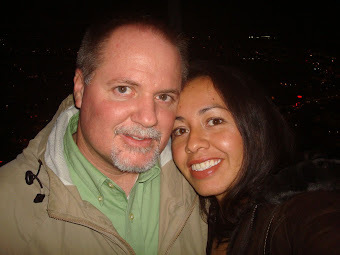 Please pray for a smooth service and that Jesús and Cinthia have a God-honoring marriage (February 17). Church’s 2nd Anniversary We will be celebrating our 2nd Anniversary as a church meeting in the new building. It will be an exciting time as we have special guest speaker, Pastor Gregorio Hernández, all the way from Cofradía—yay! (February 24). EL RETO Training in Sinaloa Pray for a smooth time of teaching as I will be training a church in La Cruz, Sinaloa on how to reach students for Christ through a “Challenge” event (March 2). Men’s Mission trip to Oaxaca A group of 12 men in the church are going to Oaxaca on a Missions trip where they will be helping another church through teachings and some light construction. Please pray for finances for these men as $3000 pesos is very hard to come by in this area. If you would like to make a general donation, please click here and specify it for Cofradia Men (March 25 – April 2).